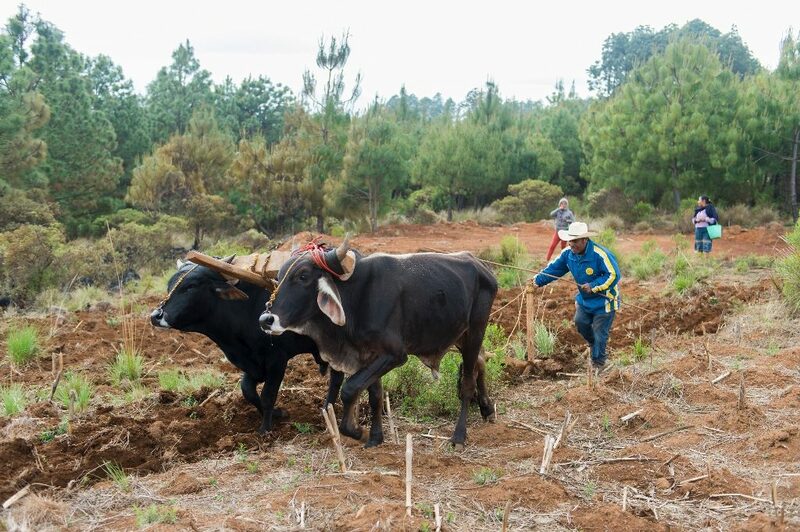 A farmer is plowing his field with oxen near the Mixtec village of San Jose Contreras near Oaxaca, Mexico. A Woman is cooking eggs in the kitchen of a house of the Mixtec village of San Jose Contreras near Oaxaca, Mexico. 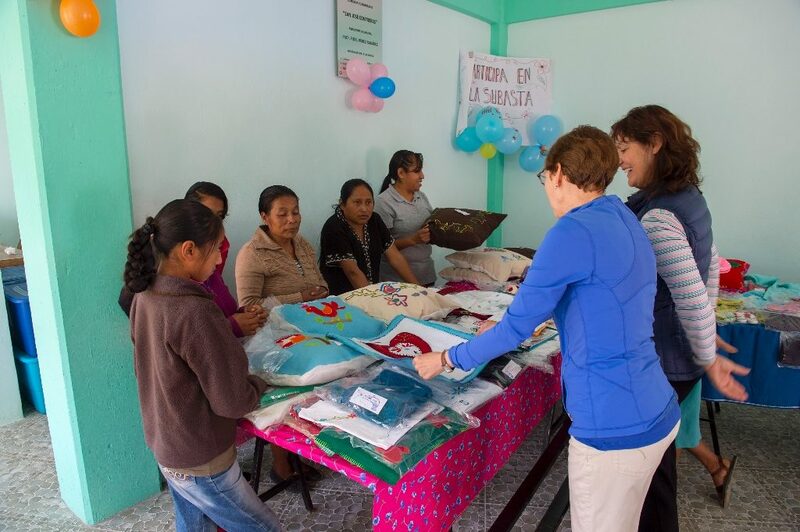 US women teaching Mexican women how to sew and establish a handicraft business in the Mixtec village of San Jose Contreras near Oaxaca, Mexico. If you wind your way through the mountains, past a farmer plowing his field with oxen, and another hauling wood by donkey, you will arrive at San Jose Conteras, Mexico. Removed from the skitter and sparkle of Oaxaca, the village moves to the rhythm of rural life. On our trip in 2020, we will take you to experience life in this authentic community, off the tourist beat. A senior Mixtec woman is talking to a tourist in the Mixtec village of San Jose Contreras near Oaxaca, Mexico. 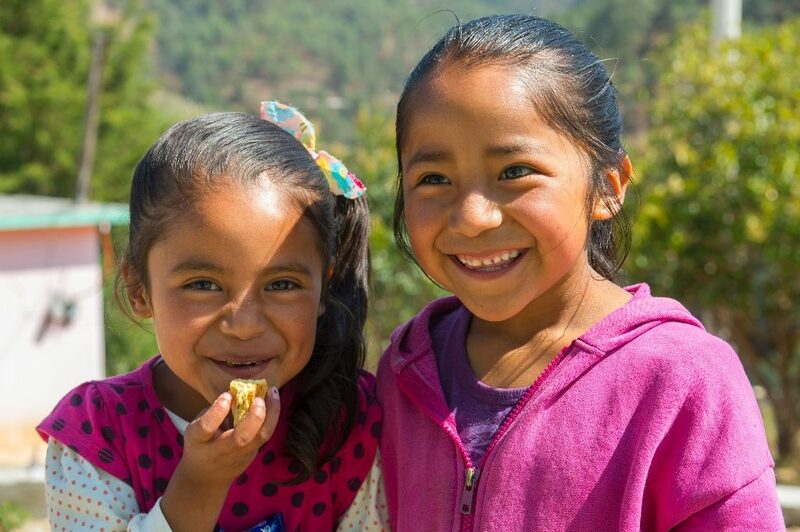 Portrait of two girls in the Mixtec village of San Jose Contreras near Oaxaca, Mexico. 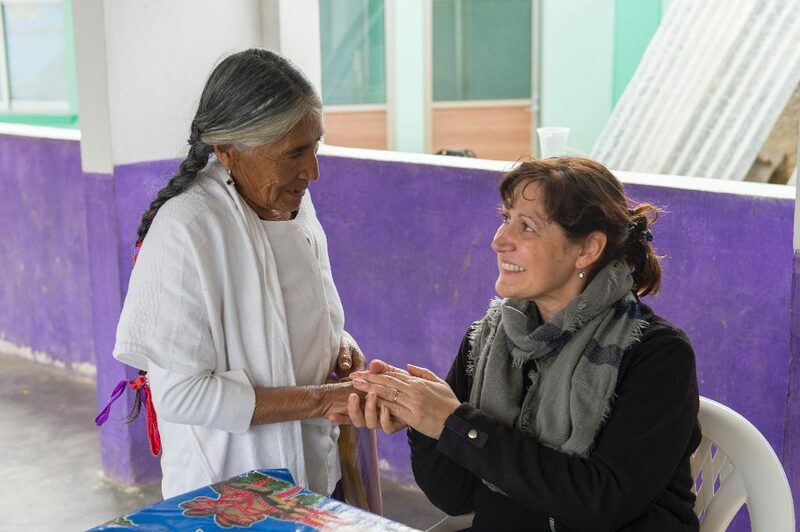 In this mountain hamlet, we will meet the Mixtec village women Michelle has been working with for a few years, helping them learn sewing, knitting, and other skills to start an artisan business. 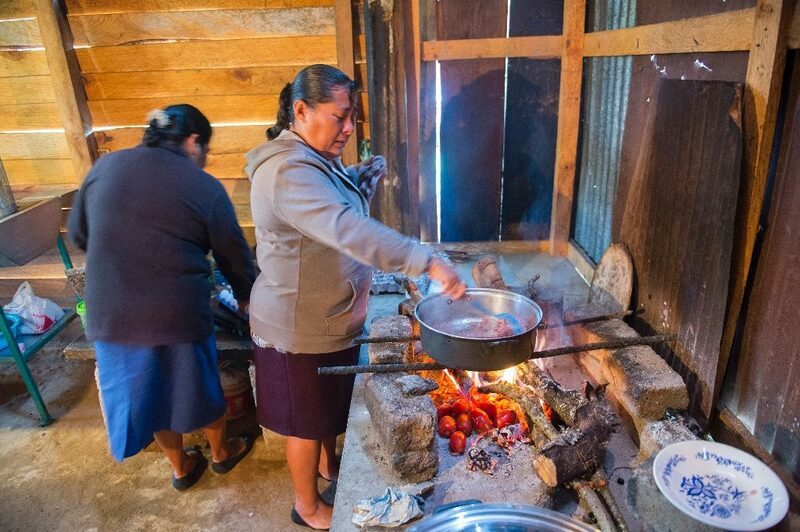 On our recent visit, the women served us delicious homemade tamales and taught us how they cook luscious chicken simmered over an open fire in a vibrant scarlet chili sauce. The agile men led Wolf to their once productive gold mine and along a trail to a necklace of waterfalls. Come with us to San Jose Conteras, where we will experience Mexican village life through the warm and delightful people who live sequestered from the rapid pace of the modern world. 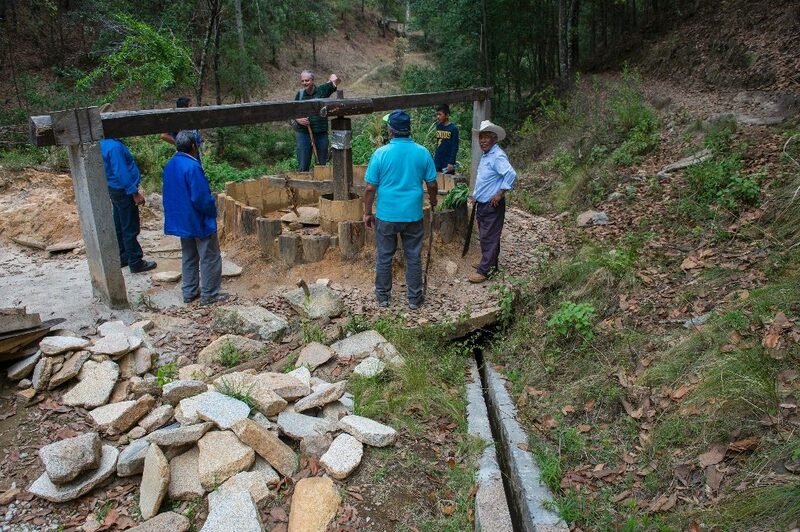 People looking at an old water powered wheel used to crush rocks to extract the gold near the Mixtec village of San Jose Contreras near Oaxaca, Mexico.